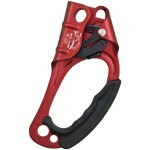 The Manual Rope Grab with Integral 3-Feet SoftPack Shock Absorbing Lanyard is made with rugged alloy-steel and features dual-cam construction and two heavy-duty spring sets to automatically hold the grab in a parked position. 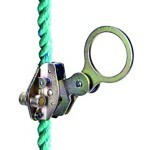 The 2-Inch eye provides excellent connector compatibility and easy handling. Includes permanently attached 3-Feet SoftPack shock-absorbing lanyard which dramatically reduces arrest forces to 900-Pound. 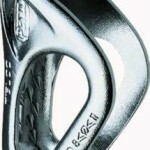 The 1-Inch polyester webbing has a tensile strength of 9,800-Pound. 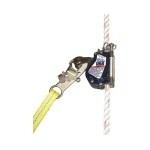 Simple, economical and reliable: Ideal for use in fall arrest and positioning applications. 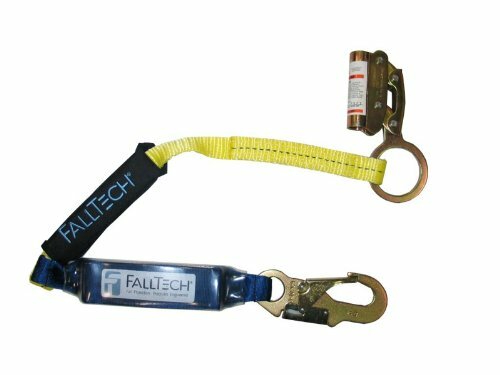 FallTech vertical lifelines are constructed of premium grade 8200 pound filament and spun polyester over a polyolefin core that provides low elongation and long wear life, abrasion, UV and chemical resistance, and yet stays flexible and renders sure grip and glide through our rope grabs. All of our Rope Grabs, whether manual or self-tracking, allow the user to move freely up and down the vertical lifeline while providing fall protection. These grabs are designed to react to a fall by locking on the lifeline and to begin the deceleration process when attached to one 3-Feet shock absorbing lanyard. 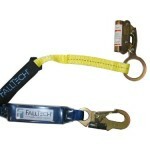 All FallTech Lifelines, Rope Grabs and Roofer’s Kits meet or exceed all applicable OSHA and ANSI standards.